My husband and I got lucky in so many ways when we adopted our 3 year old rescued German Shepherd, Rusty. He's gentle, loving and incredibly smart. He'd never had any real training when we adopted him, but because of how smart and eager to please he is, training him for the most part was such a breeze. He was house trained in a matter of days and learned his basic commands (sit, lay down, stay etc.) extremely fast. He had never been walked on a leash before, but within a week or so we got that down pat too. The only problem we had was his incredible reactivity when on leash, ANY time he saw another dog. Off leash he never had a problem with other dogs - he was playful and friendly, always gentle and happy, though slightly shy. On leash was another story though, anytime we saw another dog while out on a walk he would go crazy - whining, pulling, lunging etc. It was embarrassing, and a little scary too (I'm pretty tiny, and he's 70 lbs. of pure German Shepherd muscle). We had to work really hard to overcome this behavior (and are still working every day). Through our learning process I've discovered a number of great tips, both for the reactive dog and the person trying to help him/her. 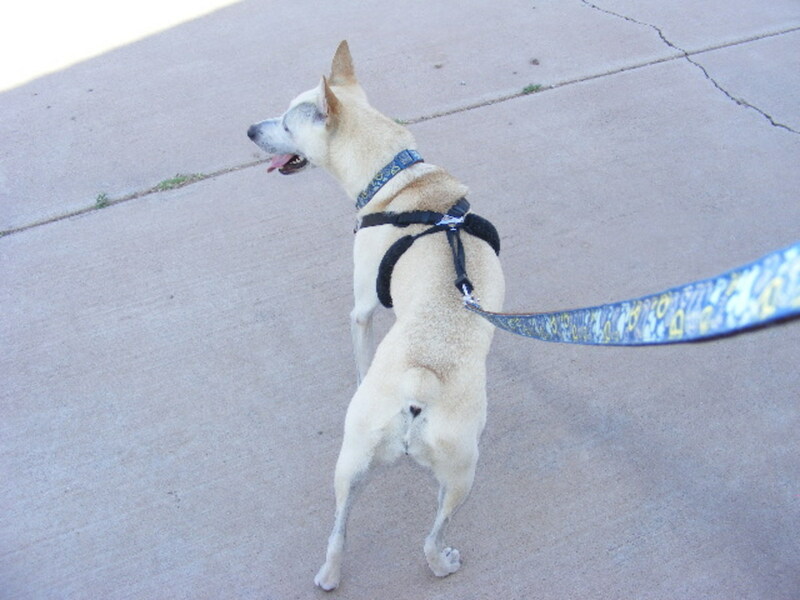 Leash reactivity is when a normally well-mannered dog reacts with lunging, barking or other such behaviors to other dogs (or cats, or squirrels, etc.) when on leash. Leash reactivity is one of the top behaviors dog trainers are asked to address and it can stem from a number of causes. I think Rusty's leash reactivity was based in fear (he wasn't socialized much as a puppy and is often shy with new people/animals, something else we're working on) but reactivity can also occur for the opposite reason - a dog who loves playing with other dogs might display leash reactivity due to frustration - he can't get off of his leash and run over to the other dog like he wants to. It can also happen due to the unnatural way dogs are forced to greet each other when on leashed walks, which is often head on. This isn't natural for a dog, who would prefer to greet other dogs slowly, making more of an arc, tail-wagging and friendly. When dogs are forced to greet each other head-on they are much more likely to have to make direct eye contact, which is a threatening behaviour. One thing that can really help a leash reactive dog is to make sure he gets plenty of physical and mental stimulation. 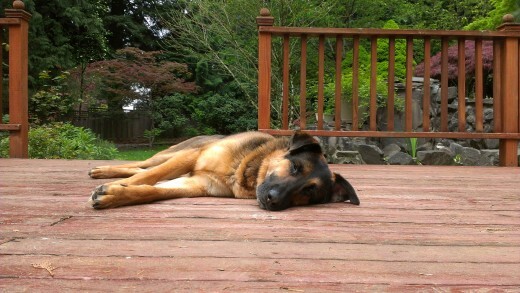 A tired dog is a relaxed and well-behaved dog (well, usually). The appropriate amount of exercise will depend on your dog's breed. 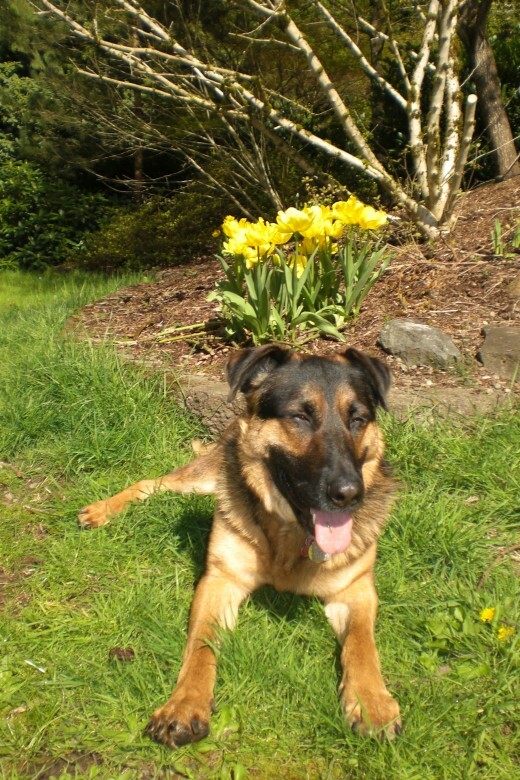 Rusty is a very high energy German Shepherd mix so he needs A LOT. We go on two 30-minute walks every day, rain or shine. And we make time for many short (around 5 minutes each) bits of play every day. If it's nice out we'll run around off-leash in our fenced back yard or play fetch with a tennis ball. If it's not so nice out we'll play tug-of-war or my husband will play wrestle with Rusty in the house. Even a few minutes of active play a few times a day will really tire a dog out, especially when in combination with longer walks. Mental stimulation is also very important - it can tire a dog out as much as (or more than!) physical exercise. My favorite are Kong toys (the ones you can fill with tasty treats for your dog to puzzle out) because they're so durable. Rusty can use them unsupervised when my husband and I are at work, and they really last - even the ones Rusty has had since right after we adopted him barely show any teeth marks. Playing hide and seek with treats in your home can also work, though it's not my personal favorite (I prefer Rusty to do his digging outside, not in my living room). And training your dog with tricks and commands is not only great mental stimulation but it will lead to a better behaved dog in general! Rusty loves practicing his commands for treats, and teaching him a new one always gets him nice and tired. Rusty and I took a training class together while we were working on his reactivity, and one of the thing the instructor really emphasized is how perceptive dogs are and how they'll feed off of our emotions. When you have a reactive dog, it's natural as an owner to tense up - you're probably embarrassed, and moreover if you have a big dog like I do you're probably a little bit afraid of scaring someone else, or having trouble controlling your dog. But it's so incredibly important to stay calm for the sake of your dog. Don't excessively tighten your grip on his leash or tense up. Take a deep breath, reassure yourself that you are in control (make sure you actually are of course!) and really focus on keeping your movements calm. Don't raise your voice at your dog or jerk him. Speak to him in a calm but happy way. If you pet him, do it slowly and gently. If you tug the leash to turn him away from the other dog do that calmly and gently too. Your dog is most likely either scared or overly excited, you being tense will only amp him up more. This will most likely take you as much practice as any of the training for your dog takes him, so keep at it and don't give up. Your dog looks to you for leadership so react to other dogs with the same calmness that you want him to react with. A harness or head collar can be a very good first step to help gain control of your dog and redirect his attention, but don't forget, you want to actually teach correct behaviors not just control your dog. So I do recommend using a harness or a head collar, but not as the only solution! Anything that helps you gain control will also help with your confidence, which will in turn help your dog. I tried both the Premier Easy Walk (front attach) harness and the Premier Gentle Leader (head collar) on Rusty. Both allow me to redirect his attention when I need to with gentle corrections, though I prefer the front attach harness, solely because Rusty loves it (vs the head collar which he didn't care for). And while I certainly want to train Rusty to be well behaved on his walks, one of the mail purposes of said walks is of course his enjoyment! So I won't use any training tool that Rusty doesn't care for when there are plenty of similar options that he doesn't mind a bit. Many others prefer head collars though, so it's important to test out the options - every dog is different. Especially because Rusty is a sensitive dog, who had been through abuse before my husband and I adopted him, I've stayed completely away from using any form of punishments in any of our training. It's proven that dogs usually respond better to positive reinforcement anyway. Using positive reward-based training, you reward behaviors you like and want to encourage (with treats, praise, petting, etc.) and ignore behaviors you want to stop. Positive reinforcement is very easy for dogs to understand. Most dogs are very eager to please their owners, so once they figure out a behavior does that, they will want to keep doing it! When you train your dog with positive reinforcement, he also begins to view training as fun which makes him a more eager student. And positive reinforcement will maintain your dog's trust in you and can definitely strengthen your bond with him. Once I started working with Rusty on his leash reactivity, I purchased a treat pouch that I wear for every walk, so that I always have his cookies and other treats on hand while we were walking. I break the treats up into small pieces or just use mini sized training treats, so I can reward each good behavior without adding too many calories to his diet. It's really important to always have treats easily accessible when training your dog as you have to reward immediately after a good behavior in order for the dog to associate it correctly. Any time you're out walking your dog, you want to praise him for looking at you. With so many distractions out there in the world, it's important for your dog to learn to focus on you. If he has this ability to begin with it will be much easier to get his attention once another dog is crossing his path. Your first goal in rehabilitating a reactive dog is to teach him that the sight of another dog is a good (or at least neutral) thing. It's nothing to fear and it means good things (i.e. treats and fun). When you're just starting out working with your leash reactive dog you want to set him up to win by starting slowly, so that he can behave correctly at the sight of another dog and earn his reward. Every time you take your dog for a walk, make sure you have treats in hand. And then every time you spot another dog give it just long enough for your dog to see them too, and then quickly turn in the other direction. This is the 'U-Turn.' Assuming your dog displays any correct behaviour (no whining, barking, pulling, lunging - maybe ignores the other dog, maybe watches him calmly, maybe sniffs the ground, etc.) reward your dog as you're turning away. The timing of the reward is important here - it has to be instant, as soon as you turn away from the other dog so that your dog knows what to associate it with. Another thing you can try, as opposed to turning and walking away at the sight of another dog is the sit command, if your dog knows it. Wait until your dog spots another dog, and then ask him to sit and then continue to talk to and praise him to keep his focus on you, all the while giving him treats. This will help teach him to ignore other dogs and keep his attention on you, even in their presence. Especially early on in your training this one will only work when the other dog is (and will stay) a safe distance away from you - remember, don't ask too much of your dog too soon. The tips listed above are great for desensitizing your dog to other dogs, and counter conditioning him to build new positive associations with being around other dogs. An exercise you can try to further solidify this lesson while not on a walk, is done sitting in a park, or any other area where a lot of dogs and their owners walk by. 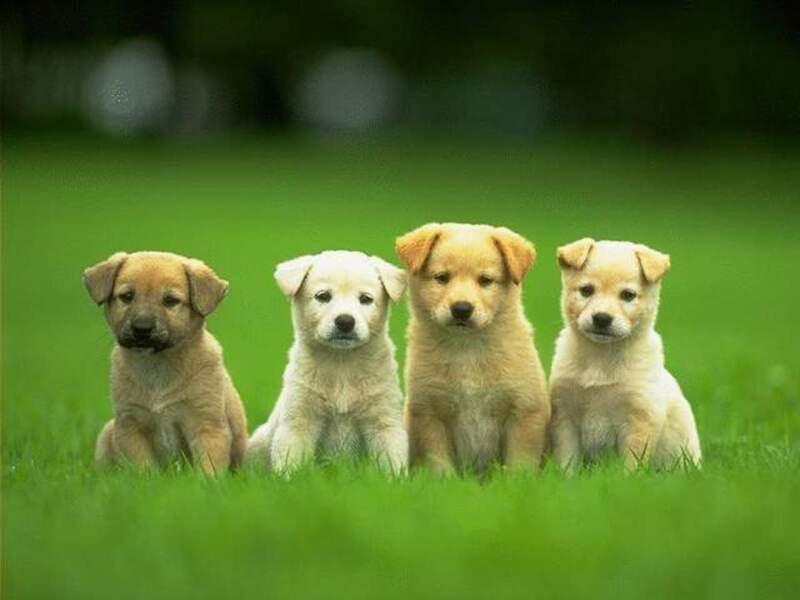 (Try to choose one where other dogs aren't likely to be off leash.) When you get to the park, get your dog to sit or lay down and be calm, maybe by petting him. Then any time another dog approaches you, your goal is to continue to encourage your dog to display calm happy behavior and then reward him (with a treat or favorite toy...and of course lots of praise) for doing so. When there are no other dogs present, don't give any rewards as the whole idea here is to solidify the idea that good things happen when other dogs are around. If your dog does growl or bark as another dog approaches just ignore him and move him further away from the other dog if necessary. Your dog will eventually learn to associate other dogs with treats, and will start to look to you for his treat as soon as he sees another dog approach. Learning to sit, relax and be calm around other dogs can help a leash-reactive dog a lot (in addition to the other training you do while on walks). Are you struggling with training a leash-reactive dog? The most important tip I can offer when dealing with your own reactive rover, is to practice. Positive reinforcement works best through repetition. So when you take you dog out for a walk, walk with him and give him your attention every time. Your dog's walk is one of the most enjoyable parts of his day so enjoy it with him, and give him your full attention. Watch his behaviors, and keep your eyes out for what's going on around you so that you can monitor how he's doing, reward at the right times for desirable behavior and (hopefully) prevent un-desirebale behavior before it happens. And don't give up if your dog's beahvior doesn't change overnight - practice makes perfect, and over time with a loving and patient teacher he will get it. Hi TheJen123, I had not seen that particular site before, thanks for sharing! I like their step-by-step approach, and I definitely agree with their focus on positive reinforcement! Hi Shepherdlover. HAve you seen this free educational site for reactive dogs? I am a big proponent of front-attachment harnesses, and still can't stomach some trainers who recommend prong collars for leash re-activity, as it defeats the purpose of forming all those positive associations that play such an important role in behavior modification, voted up! I use 'find it " a lot for dog reactivity and it also works great for sending a calming signal to the other dogs. Love the reward-based approaches suggested! You found a great trainer and kudos for you for following through so well! Hi Peony, we saw some positive results with Rusty starting within about a week or so, but it's definitely an ongoing work in progress. Over the time we've worked with him he's now made major improvements (he's been part of our family for a little over 2 years now) but even now if another dog takes him too much by surprise he might have a reactive moment. 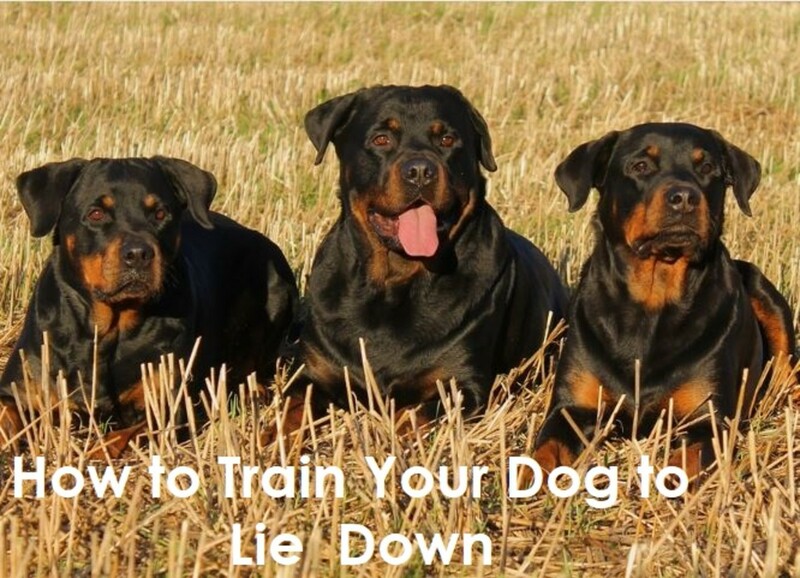 A trainer who we worked with told us that most reactive dogs always have somewhat of the tendency in them, but with time, practice and patience we can help them manage it. My best advice would be keep at it, it's definitely worth the effort! How long does it take to see major threshold results? We have the same problem and although its been great, it's a hit or miss. Weve been training him for 2 weeks. Any advice helps! Thanks! Unfortunately it seems like this is fairly common in German Shepherds. 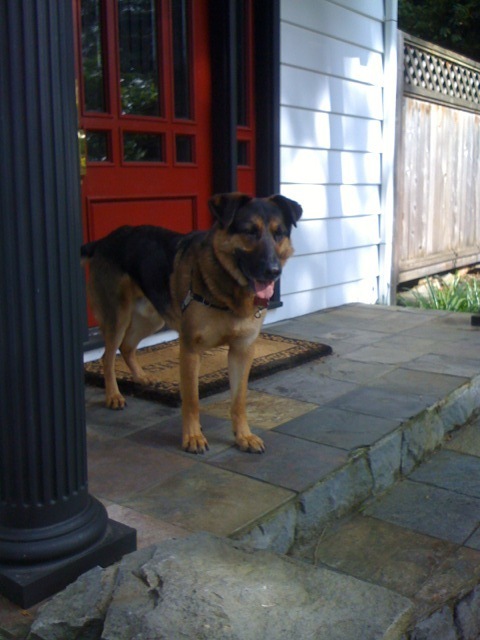 My GSD was very reactive when I got her and in searching for advice I found a lot of Shepherds with the same issues. Thanks TheSituation and libby101a, glad you both enjoyed it! Good Hub. My dog is very good on leash, thank God! Enjoyed the read. Thanks. This is a fantastic hub! Thank you for sharing all of your knowledge! Thanks OregonWino, I'm glad you're enjoying my hubs! Wow! What a great hub! You are doing awesome for such a new Hubber!